NorthEast Supra Meet 2019 "Flying W April 27th" here we go again! Thread: NorthEast Supra Meet 2019 "Flying W April 27th" here we go again! My assumption is using the facility parking lot and organizing. Small price to pay for a good time. Justin your car is cleaner than that 7k mile car no joke. Condition wise you own one of the cleanest cars in the US. Interested. What are the $30 and $10/passenger costs for? I organize these meets for the "NorthEast Supra Community" and all the Great Friends that I've met over the years. The extra bonus is we're able to give back to people in need. $30 is nothing, you get a SUPRA tee shirt and extra sponsor give away's plus a safe location for your sweet rides. Just ask anyone that has been to one of our meets everyone seems to have a good time right? I truly appreciate all the help that is offered at the meets with the usual guys that are always willing to help.... Nick, Old Man Deck and Son Brandon, Scott, Josh, Dave and Jay from Unit 12 Motoring that are always their to help out....and to make sure my Supra's show up in working order. Oh and my Family of Course. Guys as always any profit after expenses are donated. If the meet is rained out I take the hit financially. It's not cheap putting these meet together so let's pray for GREAT weather. This year I'm look at "Angel Flight East" to help the charity that The Flying W Airport Supports. They provide free air transportation to qualified patients and their families by arranging flights to distant medical facilities, delivering supplies to disaster areas, and reuniting families during desperate times. Get your Rides Ready Boys and Girls. Last edited by Reid; 03-20-2019 at 06:45 PM. I received a call today from Adam from Brooklyn Auto Sales one of our NEW Sponsors. Adam said that he'll be attending again this year with a Group of about ten friends/ Customers with Supra's. If you were at the meet last year Adam owns the Stock Black Supra Twin Turbo 6 speed with only 2,935 miles that was trailer-ed down last year .... He'll be bringing that beauty down again this year. You don't want to miss this Black unicorn. Last edited by Reid; 03-23-2019 at 08:10 PM. Tee Shirts will be ordered next week with several new Sponsors. I spoke to Dave Teddy from Unit 12 Motoring and he's willing to help us with the trophy's this year. Eric had been making them for us the last several years, and we truly appreciate his design and willingness to help. A lot of guys and families will be coming to the Flying W Airport on Friday and spending the night. If your coming from far away or just want to be relaxed and wake up at the event call up and book a room. Easy on you and your ride! Thank you for the warm welcome Reid! I am happy to be a sponsor for this years Ne Supra Meet, and hopefully many more to come. Looking forward to meeting more Supra owners, and seeing some of the same faces from last year. If anyone is leaving from the Brooklyn/Staten Island area and would like to roll out with us, feel free to text me at +17188254678 to coordinate. Are we doing parts swap/meet as well? I'm looking to buy stuff (and sell). Might be interesting to list what parts people are looking for, so others can bring them if they have them. Hell, also list parts to be brought for sale. Guy this isn't a swap meet....If your looking for parts or selling them there are threads for that in the NE section. List your parts for sale or what your looking to buy there. If you have someone interested in buying something from you or you're interested in buying something then you can arrange to meet up at the meet and exchange there. This location and meet isn't setup for you to sell stuff OK....we can perhaps do another meet like we did last year at Unit 12 Motoring later this year. Last edited by bkfill; 03-27-2019 at 07:11 AM. 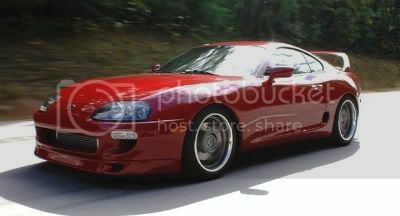 So Guys were currently over 70 Supras coming out THAT I KNOW OF.....Not including FB site attendance. I'm also not including some HIGH line Specialty Cars that I have attending. Count me in with 3 guests. Reid thank you for setting up another meet. You know I'll be there. Update: We have the tee design all ready for the meet looks Great! Special thanks to Jed for working on the look and feel of our shirts again Great Job Jed. Ordering 250 of them for this years NorthEast Supra Chapter 2019 meet. Also have another NEW Sponsors Supremwraps LLC thanks Enzo for the support! He's actually going to wrap the roof of my SC400 next week. Like most of you I'm getting stuff ready for the meet. White Supra getting a New Paint job. Red Supra at Unit 12 Motoring for tune up injectors getting cleaned and plugs basic stuff. C5 Corvette in for a new tune up.....does it ever end guys. We have a local cars and coffee meet every Saturday morning that's put on by "South Jersey High Octane" Link on 1st page. Today we had another great turnout over 100 cars. One car was a Mclaren that a friend showed up with today, he just got it this past Wednesday. The cars cost was over $1,300,000. He said he's going to try to stop by our meet on April 27th. This thing was crazy. Hope you guys get to see it. This meet will be here before you know it, so get after your rides. I'm looking forward to seeing what everyone has done to their rides since last year. Last edited by Reid; 03-30-2019 at 09:45 PM. Thank you for your time on this again. I know you put some coin up front and lots of time with calls, emails etc. Well worth it in the end. Glad you'll be making the Meet this year and looking forward to seeing you and the Black Mamba once again. If you haven't seen Rik's ride, you don't want to miss it. It's definitely one of the very Best Supra's in the North East. Thanks for putting this on again Reid! I’ll be there! We'll the tee shirt prof will be signed off on tomorrow. Been working with the sponsors New and existing. Very happy with the tee shirt soft, upgraded tee shirts. We have some nice new things for you this year for the entry bags. In the entry bags like last year will have a raffle ticket in them, for your chance to win gifts for just the Supra owners. Last year we gave away two Car dash Cam Videos. This year you have to win and then win again! I'll explain at the meet. Reid, thanks so much to you and all the other volunteers and sponsors for putting this event together. Getting psyched! Yeah I'm getting excited as well for this years meet. It's hard to tell how BIG this meet is going to be since I've heard that a lot of people are just replying to Face book postings. As you all know by now this is a Supra meet. That being said I have some outstanding specialty cars coming to the meet. These cars are pre-approved since we have limited space available. NOTE: POLICE will be at the meet to make sure those that have to leave their marks on the street ......will be dealt with accordingly. Last edited by Reid; 04-09-2019 at 08:21 PM. Does New Jersey still require all gas stations to be full service? Planning to come down the day of show from the Hudson Valley of NY. Looking fwd to the ride! 120 NE Supra Meet / Saturday April 28th 2018 "HERE WE GO AGAIN"
Here We Go Again...."don't Call It A Comeback...i Been Here For Years !"